“Neil Young Journeys” is an interesting documentary film about the music and life of Neil Young. It’s a treat for those who have followed Young’s music career since the Buffalo Springfield (1966), Crosby Stills Nash and Young (1969), Crazy Horse (1968) and all the iterations that followed. 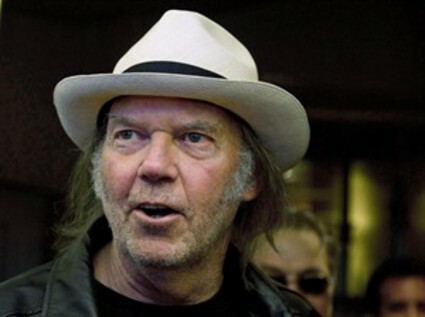 When one thinks of all the troubles and early deaths of music stars, Neil Young’s strength and durability is remarkable. His singer/songwriter/musician career has spanned over 40 years and produced 34 studio albums. For those who are new to Young’s clear high tenor singing voice and his meaningful, sometimes personal lyrics, this film is a great introduction. Director Jonathan Demme, renowned producer and director of 27 feature films such as “Rachel Getting Married,” “Philadelphia” and “The Silence of the Lambs (Oscar for Best Direction), has made two prior films with Young, “Neil Young: Heart of Gold” (2006) and “Trunk Show” (2009). All three documentaries revolve around Young’s live shows. And “Neil Young Journeys” captures a great concert at Massey Hall in Toronto, where Young had last appeared 40 years prior. Clearly, his enthusiastic hometown audience was filled with avid fans. But Young deserved their applause. His set was comprised of old favorites, such as “Ohio,” recalling the 1970 massacre at Kent State, “Down by the River” (“…I shot my baby…”) and “After the Gold Rush” (“Well I dreamed I saw the knights in armor…”). Interspersed were excellent songs from 2010’s “Le Noise,” such as the slashing “Love And War,” the ragged “Hitchhiker,” and the tender “Sign of Love.” Young played various instruments, including piano, harmonica, claw hammer acoustic guitar and electric guitar. At times, his voice sounded raw and he reached to hit the highest notes. Largely though, his voice was pure and his music heartfelt. As to the filming of the concert, I guess that Demme wanted Declan Quinn, director of photography, to shoot as close to Young’s face as possible, and keep the camera there. So the audience saw interminable shots of Young’s dental work, his grizzly and graying facial hair, and his wobbly chin. Not his best look. In juxtaposition to the concert, Young and Demme took a nostalgic drive in a 1956 Crown Victoria around Toronto, which included Young’s return to his childhood home of Omemee, Ontario, a small town near Toronto. Young’s joyful revisit to Omemee contains some of the best scenes in the documentary, as we get a glimpse of a happier, freer Young. These scenes are in stark contrast to his contemplative and pensive performance.